Subfascial breast implants are a compromise in placement between submuscular and subglandular positioning. The fascia provides some of the implant coverage of submuscular, while maintaining some of the benefits of subglandular. This newer technique, also called sub-fascia positioning, combines many of the benefits of the 2 primary placement options, while trying to eliminate the drawbacks associated with each. This article details the subfascial approach to implant placement and describes the benefits of this small change in surgical protocol. Placement beneath the pectoralis fascia might help minimize capsular contracture occurrence. The fascia also helps to isolate the implant from the glandular breast tissue, possibly aiding in mammography testing clarity. The implant is in front of the muscle, so no athletic restrictions or interactions should occur. The surgery is shorter, as is the recovery time, and this approach demonstrates less chance for significant complications, when compared to submuscular implant placement. The aesthetic is very natural looking, as far as breast contour and movement, but with the added benefit of additional support from the strong fibrous fascia. This extra organic layer helps to conceal the implant, prevent visible wrinkling of the shell and maintain the high anatomical position of the prosthesis. This anatomical location for placing breast implants closely resembles a subglandular approach, with one major exception. While the chest muscles are not disturbed, the fibrous fascia tissue is dissected away from the front wall of the pectoralis muscles and the implant placed beneath this fascia layer. This step adds considerable time and effort to the simpler subglandular approach, but still is less complicated than subpectoral or submuscular placement. This augmentation procedure is not as good for preventing contracture as submuscular placement. The fascia can experience support problems, leading to an eventual asymmetry condition. Some surgeons question whether the fascia actually provides significant verifiable benefits to justify the extra effort involved in the procedure. The surgery is more expensive than traditional subglandular placement and can be more painful postoperatively. This breast enlargement procedure is a good compromise for women who want subglandular placement, but would like some benefits of submuscular positioning, as well. 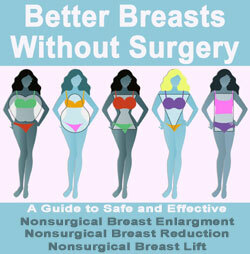 The operation works especially well for thin, small breasted women, who have little natural tissue to cover their implants during traditional subglandular placement. The addition of the covering fascia layer helps to smooth and contour the implant shell, blending the prosthesis into the chest wall more convincingly. The added benefits are better test results during mammography screening, possibly fewer incidences of contracture and significantly more implant support. Talk to your cosmetic surgeon if you are interested in learning more about sub-fascia implantation procedures.